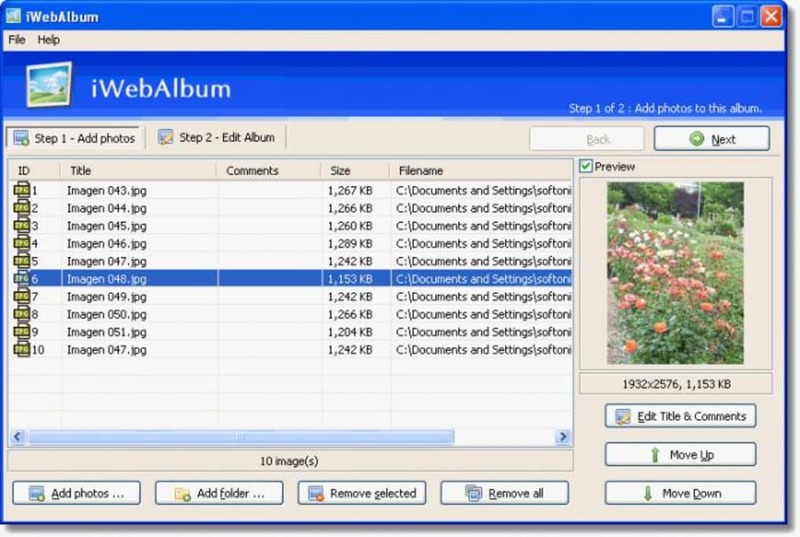 iWebAlbum is a handy, free Windows software, being part of the category Design & photography software with subcategory Viewers & Catalogues (more specifically Photo Albums) and has been published by Eunq. Since we added this program to our catalog in 2006, it has managed to reach 22,024 downloads, and last week it gained 9 downloads. About the download, iWebAlbum is a relatively light program that doesn't take up as much storage space than the average program in the section Design & photography software. It's very heavily used in countries such as Hungary, United States, and Other Countries. It's available for users with the operating system Windows 98 and prior versions, and you can download it only in English. Its current version is 2.0.2 and the latest update happened on 1/23/2009. What do you think about iWebAlbum? Do you recommend it? Why?